Don’t waste your precious time looking for taxis or fumbling with maps. Check off no fewer than five spectacular mosques and the notorious Khan al-Khalili bazaar in just half a day on this private door-to-door tour. 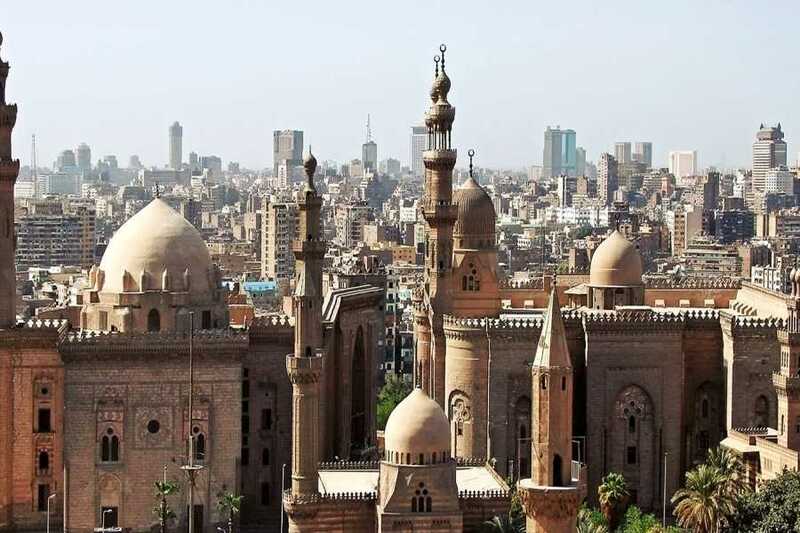 See the Alabaster Mosque (and the Citadel of Saladin), the al-Rifa’i Mosque, the Sultan Hassan Mosque, the Al-Azhar Mosque, and the Al-Hussein Mosque with a guide. Please note, tour excludes any entrance fees. Then Followed by another big famous Mosque Which is Al-Rifa’i Mosque The building is located opposite the Mosque-Madrassa of Sultan Hassan, which dates from around 1361, and was architecturally conceived as a complement to the older structure. This was part of a vast campaign by the 19th century rulers of Egypt to both associate themselves with the perceived glory of earlier periods in Egypt‘s Islamic history and modernize the city. End your day tour By a visit to El Hussein Mosque in Cairo .Hallowed mosque believed to be the burial site of the head of the prophet Muhammad's grandson.